Being an avid gardener myself, it was easy to talk with Timothy Burress, a master gardener living in New Albany, Mississippi. Since retiring from MSU as Assistant State Coordinator for the Master Gardening program, Mr. Burress now enjoys his love of gardening by doing gardening workshops and being a speaker at various gardening events. He does a daily (Monday-Friday) local radio show called “The Interchange” whereby participants can buy, sell or swap various items. 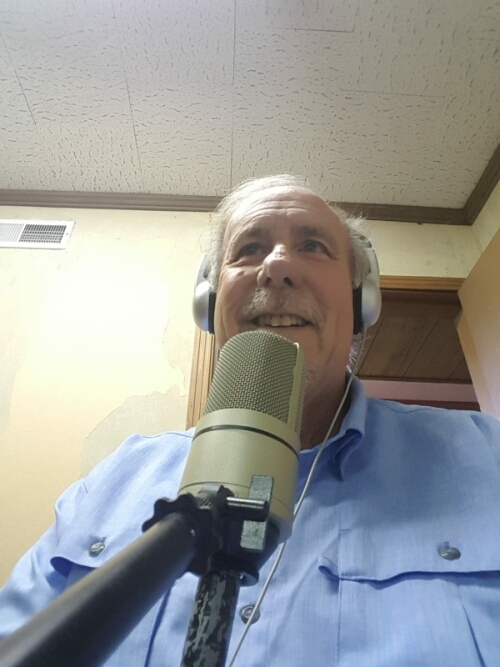 He also hosts a Saturday gardening radio show, That Gardenin Guy Garden Show, on WNAU radio where he shares gardening information, answers questions and does gardening giveaways. You can listen in at 1470 on the AM dial, use the Simple Radio App on your device, or go to www.wnau1470.com. 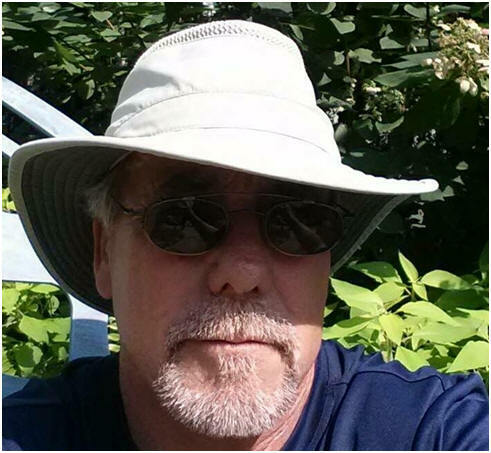 Burress has a real passion for gardening and he is just as passionate about sharing his knowledge with others. Born and raised in Tennessee, Burress was a senior in high school when he went to live with his father in Mississippi after his parents divorced. His father owned a grocery store and had a 1-acre garden where young Burress got his first taste of gardening. He attended college in Senatobia, and although he obtained a degree in civil engineering, he realized that an office job was not for him. He moved back to Tennessee and worked for several years as a paint and body man in the car industry, and later as a property damage appraiser for an insurance company. He later established his own property damage appraisal company called T&K Appraisals, which grew into the second largest such company in the south. After managing a large and busy company for several years, Burress decided that he was ready for a slower paced life and he moved back to Mississippi where his love of gardening developed into a career. Upon returning to Mississippi, Burress began gardening for relaxation and the joy of reaping from a labor that he loved. He also began getting recognition for the beauty and bounty of his gardens. He eventually went to work for Mississippi State University as Assistant State Coordinator for the Master Gardening Program. He also had the opportunity to write gardening articles for newspapers and several gardening magazines such as Mississippi Gardener and Birds & Blooms. In 2009, Burress along with his wife Janet created and put on the New Albany Home and Garden Show, a two-day event that drew over 3,000 attendees. The show, which took place on the fairgrounds, included 20-30 gardener vendors and about 15 to 20 speakers. Activities would include a lunch & learn, floral arrangements, and “the doctor is in” question and answer session. The home and garden show was an event where you could learn almost anything you needed or wanted to know about gardening, and where you could buy various plants for flower and vegetable gardens. Burress’s wife enjoys butterfly gardening and is known as the Butterfly Lady. She is also known as Mrs. Christmas because of all the decorations she loves to display at Christmastime. When I asked Burress to tell me why he thought a person should do gardening at all, he promptly said, “Gardening is our future. If we don’t learn how to grow some of our own food, we will someday be eating fabricated food from a tube”. He is passionate about teaching kids about gardening and thinks it is very important because they are the future. Burress says “It doesn’t take a large plot of land to teach a kid a large lesson.” “Until we start growing some of our own food, farmers will continue to be chemical growers because they cannot grow enough organic food to feed the world”, he said. Burress teaches his grandchildren the importance of gardening and how to maintain a garden. He also volunteers at local schools, including the New Haven School for Special Needs Adults, where he assists his wife Janet with a workshop twice each month. I can only imagine the wealth of knowledge one would gain at one of Burress’s workshops, because during my short conversation with him, I learned several things about gardening that I did not know. For instance, a tomato plant is poisonous except for the tomato itself, hummingbirds prefer tubular flowers like gladiolas, butterflies prefer flat flowers like zinnias, and bees don’t care as long as there is pollen. New Albanians are fortunate to have such a wealth of horticulture knowledge within their reach! Burress has done workshops on roses, butterfly gardening, what’s growing in your garden (poisonous plants), composting, earthworms, what’s growing old and new, color in the garden, salad table (raised beds), no-till gardening, building cold frames, and rain barrels. He is currently working with the Mississippi Urban Forestry Council on a grant program called Bloom Town, a Mississippi pollinator community program that encourages communities to get involved in planting pollinator plants.